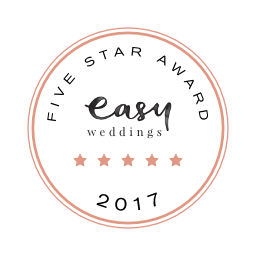 Andrew is a caring person and has, over the years, proved himself to be a true professional ceremony celebrant in every sense of the word. Andrew is also a Justice of the Peace, and can certify all wof your documents (including photocopies). “As the Bride and Groom, YOU choose the ceremony that most meets your needs and wishes. Leave the legals to me. Don’t worry about anything. And please – enjoy the moment – it is all yours! Andrew is experienced, down to earth and professional. On the day he was so well prepared and even had spare batteries for the mike and rings if we forgot them. We wrote our own vows and he was a great resource in helping us do this and was so patient. Andrew is very professional but at the same time relaxed and down to earth. From start to finish Andrew ensured the whole process was hassle free and was very understanding of our family commitments. Our ceremony was just perfect!! Highly recommended. Andrew was professional, easy to talk to, and totally receptive to our wants and needs. The ceremony was perfect - it was exactly what we wanted and so much better than we expected, and reflected both of us completely. Very highly recommended! Andrew was a true gentleman and professional. Andrew made our entire wedding ceremony about us, with no request being a problem. Andrew was helpful and organised, he was even giving a hand setting up the ceremony. We were truly blessed to have Andrew as our celebrant on our wedding day. If you are considering a celebrant, make sure you speak with Andrew. Being a celebrant is about more than the legalities, and Andrew was the dignified and elegant conductor of our ceremony. Thank you Andrew! For our more detailed reference, email Andrew for a copy. We had a small wedding and Andrew fit into our day amazingly well, he kept us perfectly relaxed in the lead up as well with incredibly relaxed meetings about vows and music and everything in between! I would recommend him 100%! Andrew is absolutely fantastic. Made the day exactly what we wanted. Catered for an incredibly nervous husband, and made the day an absolute breeze. I would recommend him to anyone for their day. Look no further if you are searching for reliability, kindness, reassurance, support and most importantly someone who cares about your day as much as you do! Andrew's knowledge and passion is commendable. If you pick Andrew to be your celebrant, you will really be onto something special for your day! Andrew is very good; professional, kind, responsible and fun. When we talk about our wedding with our friends his name is always mentioned: the celebrant was awesome! He made us laugh and cry! We couldn't have chosen better. Andrew is a high professional and also has an amazing price compared with others. Thank you Andrew! He made us feel so at ease and was an asset to our wedding, he knew where to stand , what to say just perfect. Very well organised/prompt/reliable celebrant, he made us relaxed on our day, months after our wedding we get compliments from guests how great Andrew was. I highly recommend him to anyone wanting a genuine celebrant who cares about the needs/wants of the bride and groom, and wanting someone professional/personal/memorable call Andrew. Andrew was wonderful on our wedding day. He went above and beyond to make my Husband and self feel comfortable and relaxed. Our guests commented how great he was. Brilliant job, would get married all over again and request Andrew. I cannot speak highly enough of Andrew. I am certain our big day would not have been as special without Andrew present. He is extremely professional and seems to have been doing this for a long time. He is calm and focused and somehow managed to keep the bridal party calm aswell. But what I really loved was the way he added humour to the ceremony, this was the magical touch. Guys if you want your ceremony in safe hands, trust me Andrew is your man. Such a pleasure to deal with! Made us feel so comfortable and relaxed about the ceremony, had great suggestions and ideas for us to make it unique and special!